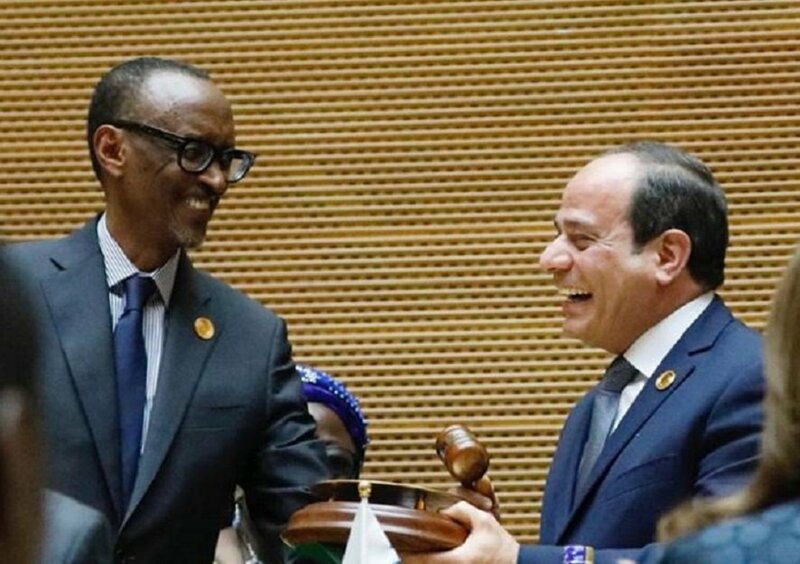 Rwanda’s Paul Kagame has ended his one-year mandate as the Chairperson of the African Union on Sunday after handing over the position to his Egyptian counterpart Abdel Fattah al-Sisi. 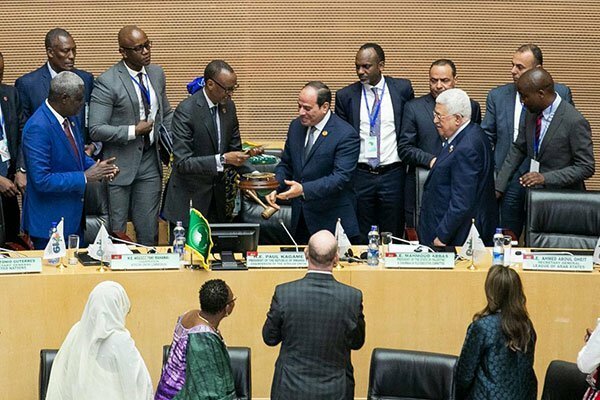 The handover was done at the 32nd Ordinary Session of the Assembly of the African Union (AU) heads of state and government summit in Addis Ababa, Ethiopia, which will end on Monday. President Kagame who has chalked some successes under his tenure was optimistic that successor would take the AU to its goals. “Our objective was to continue building a stronger and more capable African Union that is able to deliver on the pillars of Agenda 2063, and better represent Africa’s interests on the global stage. “The steps forward that were achieved reflect the long-standing commitment and aspirations of Africa’s leaders and citizens. The CFTA was signed, and now, less than one year later, it stands only weeks away from entry into force,” he said. 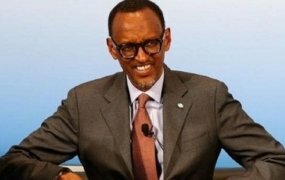 Among the achievements under Kagame are the launch of the Peace Fund, signing of the African Continental Free Trade Area, increased partnership with international organisations such as United Nations and European Union, and increased financial contribution by member states, reports Rwanda’s The New Times. The AU Commission Chairman, Moussa Faki Mahamat, also commended President Kagame for his leadership qualities during his tenure which brought about positive results for the continent. Egypt’s Al-Sisi will be assisted by South Africa’s president Cyril Ramaphosa as the first vice-chairman and the DR Congo’ Felix Tshisekedi as the second vice-chairman. Kagame will maintain his position as the head of the African Union reform process.